Sauce Labs offers organizations who specialize in tools and services around quality assurance, test automation, continuous testing, CI/CD and DevOps the opportunity to partner together. As organizations make the move towards continuous testing practices, our partners work with Sauce Labs to provide development and QA teams the expertise they need to successfully implement continuous testing, agile and DevOps best practices. There are two types of partnership opportunities - The Sauce Labs Technology Alliance Partners (TAP) program, and Go-to-Market providers. The Sauce Labs Technology Alliance Partners (TAP) Program is a collaboration with technology partners to create actionable integrations with the Sauce Labs Continuous Testing Cloud. TAP helps partners develop integrations that allow Sauce Labs’ continuous testing capabilities to extend deeper into a customer’s software development pipeline and collectively provide greater value to customers. Go-to-Market partnerships provide Sauce Labs customers with a network of Global Systems Integrators, Value Added Resellers, Specialized Service Partners and Direct Marketers. These organizations provide an array of services in consulting, implementation, training, procurement and more. These partners often work side-by-side with users and Sauce Labs to provide valuable insight into continuous testing and Sauce Labs best practices. WHY PARTNER WITH SAUCE LABS? Sauce Labs has created the world’s largest cloud-based continuous testing platform for web and mobile apps. 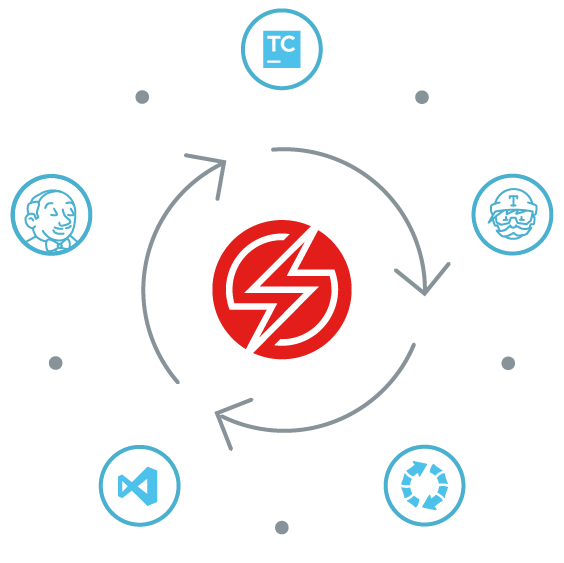 Our solution leverages the open source frameworks to kick off automated tests across desktop operating systems and browsers, as well as mobile emulators and simulators and real devices. Combined with enterprise tools such as Extended Debugging, SSO and Test Analytics, along with best-in-breed customer success and support experts, we offer the tools and strategy to transform testing strategies and practices to meet the demands of today’s digital users.